When most people think of orthodontics, they often think of treatment beginning as a teenager, but in reality, orthodontic treatment can begin as early as age seven and can provide many benefits if needed. At Henseler & Kocian Orthodontics, we see kids of all ages for orthodontic treatment in the Woodbury and Stillwater areas. If your child is a candidate for early orthodontic treatment or a palatal expander we will take the time to explain the benefits of treatment and when it would be best to begin. In children, palatal expanders are used to gently expand the width of the upper jaw , which provides more space for permanent teeth to erupt. Because children’s jaws and mouth are still developing and the bones haven't matured, this can be done easily with little to no discomfort. Crossbite – This occurs when the upper jaw is too narrow to align correctly with the lower jaw. An indicator of a crossbite is if the back top teeth sit inside the lower teeth when biting naturally. To correct this, Dr. Kocian or Dr. Henseler can use a palatal expander to widen the upper jaw until the teeth fit correctly. 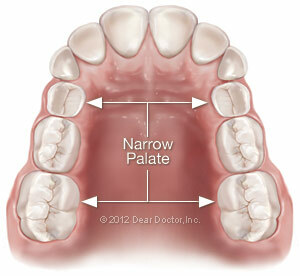 Crowding – By the age of 7, our doctors can start to assess if there is enough room to accommodate all permanent teeth. 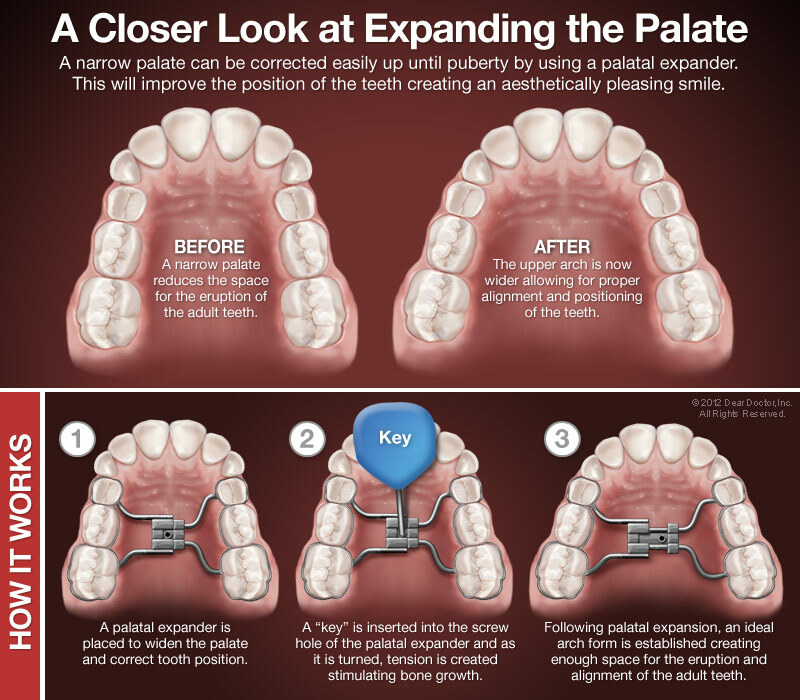 If we find there is not enough room, a palatal expander can be used to give the teeth more room to erupt naturally, without the need to extract teeth in the future. Impacted Teeth – Sometimes, adult teeth that have already erupted can block other unerupted teeth from coming in. 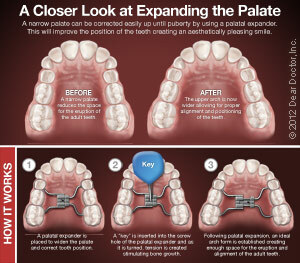 In this case, widening the jaw can allow space for the impacted tooth to erupt into its proper position. Along with making room for teeth to come in and allowing for a proper bite, palatal expanders can also help improve speech, as well as help with sleep-disordered breathing (apnea), which can have a profound impact on a child's development. Palatal expanders are custom made for each patient and secured to several back teeth in the upper jaw. The expander is activated at home which provides a constant gentle pressure that widens the upper jaw over time. Once we have reached our desired correction, the expander will be left in for a period of time to allow the jaw to stabilize. 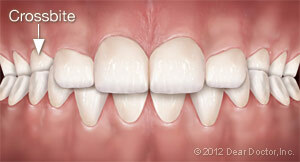 Treatment times can vary, but in general, palatal expanders are worn for 6 to 12 months. Most patients report a little pressure when the expander is activated, but it is not painful at the age it’s prescribed. Eating and speech can be effected with the expander, but that is normally resolved in a few days to a week as the tongue adapts to the appliance. Make Your Appointment With Henseler & Kocian OrthodonticsToday! While children’s orthodontics is often overlooked when talking about children’s health, it can have a big impact on overall health. Palatal expanders are just one way to achieve a healthy and happy smile for your child, giving them the bite and smile they deserve. If your child is turning seven and you have not yet made an appointment with Henseler & Kocian Orthodontics, call our Stillwater or Woodbury offices today and make an appointment! Our caring team of orthodontic experts is here to help and look forward to hearing from you soon!